Renaissance Translation & Busi ..
We translate your aspirations with a high standard of professionalism and make your business development easier and more successful. We speak �your language�. 30 years of experience in Paris with international organizations (UNESCO & Arab Embassies), and 9 years in Dubai with local government authorities high level organizations and multinational companies , make professionalism excellent and confidentiality distinguish our services provided worldwide. 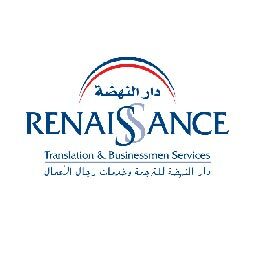 Renaissance is the only translation company in UAE owned by French translator graduated from Sorbonne University in Paris, in three languages, French, English, Arabic. Studied English in Oxford University UK.